Homeowners love taking pride in the look and feel of their homes. 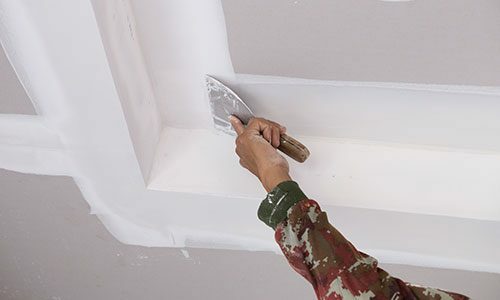 At AW Painting & General Contractors, we offer complete residential property remodeling and repair services that leave home owners in the Philadelphia area satisfied and happy. We proudly work in Philadelphia, Southern New Jersey, Delaware, and Lehigh Valley. Some of our residential services include: sandblasting, painting, power washing, drywall repair, remodeling, and insurance claim repairs. We can assist you with nearly all aspects of residential remodeling, whether large or small. Whether painting several rooms, remodeling your kitchen, or changing your entire home, our team is experienced in any services your home may need. Whatever your plans, we will work closely with you to make your dreams become a reality. Our general contractors have established experience working with a wide variety of homes. We have undertaken everything from light remodels to severely weather damaged homes requiring complete overhauls. No challenge is too big. Our experience lends us a professionalism and understanding in the fact that this is your residence. We will work carefully to help recreate a home you will fall in love with. With a long history, we have built this facet of our business based on exceptional quality, attention to detail, competitive rates, and years of working as painting contractors serving Pennsylvania and the Tri-state area. Painting is not just for aesthetic purposes, but also to protect those services where the paint is being applied. That is why we only use the best paints in the industry including PPG Paints and Sherwin-Williams. Whether you’re preparing to sell or simply want a change, our painting and wallpapering services can give your home new life. We will get the job done quickly with little interruption to your daily routines and time. If you are looking for an alternative to replacing your roof on your home or property, roof coating may be an option for you. Roof coating can be applied to almost any material and is a great, affordable solution to your roofing needs! Not only is it quicker than re-roofing, but it does not disrupt your home while our team applies the coating to the roof. Our roof coating can go on any flat, sloped or metal roof. The Bureau of Labor Statistics has predicted that residential construction growth will continue to surge to over 30% by 2020*. At an annual increase of over 3%, there is no better time than now to begin your home remodel. The single-family home has always been a steady source of expansion in real estate. Whether you need sandblasting, power washing, drywall construction, or heavier remodeling, this year is the year to make it happen. Get in touch with us today to start your home remodel. In addition to our commercial property maintenance and remodeling services, we can also provide insurance claim repairs. We have extensive experience doing insurance work in partnership with some of the oldest insurance companies serving Philadelphia, Southern New Jersey, Delaware, and Lehigh Valley. Contact AW Painting and General Contractors today to see what we can do for you. The start of your residential property remodel or repair is only a phone call away. In addition to our residential general contractors serving Greater Philadelphia, we also provide home owners with insurance claim repairs. With extensive experience doing insurance work, we know what to expect. If you are hesitant to undergo a home remodel, you have nothing to fear when working with us. Our industry experience centers around our professionalism and value. We always provide a client-centered experience. Connect with us to get started on your home remodel. We’re only a phone call or a few clicks away.